The LipiFlow® Thermal Pulsation System is a revolutionary, effective treatment for conditions of the eye caused by meibomian gland dysfunction, including chronic dry eye. Eric J. Rothchild, MD, and the team at Rothchild Eye Institute, serving the communities of Boca Raton, Delray Beach, and Boynton Beach, Florida, are proud to offer this treatment in the comfort of their office. If you suffer from dry eye, schedule an appointment online or by phone today to see if LipiFlow is right for you. The LipiFlow Thermal Pulsation System is a technique used to treat conditions of the eye caused by blockage of the meibomian glands, which are located in the eyelid. This in-office treatment delivers therapeutic levels of heat through pulsating movements focused on the outside of the eyelid. This has proven effective in the treatment of meibomian gland dysfunction (MGD), which is the leading cause of chronic dry eye. About 20-40 meibomian glands are located in your upper and lower eyelids, and they’re responsible for secreting oils onto the surface of your eyes. These oils mix with tears and help them to nourish and protect the surface of your eyes. When the meibomian gland malfunctions or is blocked, such as with MGD, the lack of adequate oil secretion causes tears to evaporate too quickly, resulting in dry eyes. MGD may also cause meibomian cysts, or chalazions, to form in your eyelid, potentially leading to infection and damage to your eye. What are the symptoms of MDG? As MDG is not the only cause of dry eyes, your ophthalmologist first diagnoses if it’s the culprit. An eye exam with the expert team at Rothchild Eye Institute can help to determine if you have any form of MGD, and if so, it helps your ophthalmologist create a treatment plan that may include the LipiFlow system. How is LipiFlow used to treat MDG? Meibomian gland dysfunction can be effectively treated using this drug-free approach that helps restore the proper production and secretion of oils in your eye. During a 12-minute treatment, LipiFlow effectively expresses oil from the glands without injuring the underlying eyeball. The LipiFlow system applies specific levels of heat and pressure to melt the deposits of oil causing blockage and dysfunction of the meibomian glands. This restores the essential flow of oils and proper balance of tears, effectively treating dry eye and resolving meibomian cysts. LipiFlow treatments aren’t covered by insurance and require out-of-pocket financing, which can be done using CareCreditⓇ. 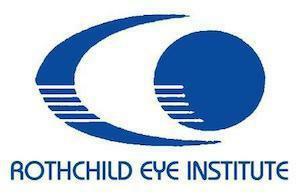 To see if LipiFlow is right for you, call Rothchild Eye Institute or schedule an appointment online today.